Tuesday March 26, 2019 - A middle aged woman from Kitale has sued Labour Principal Secretary, Nelson Marwa, for child support. Elizabeth Moraa, 27, said she sired a daughter with Marwa and she now wants monthly support to the tune of Sh 180,000. 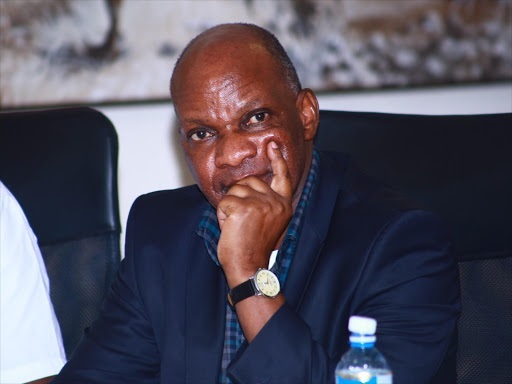 Moraa claims Marwa is the biological father of her one-year-old daughter and "deliberately refused, ignored and neglected to discharge his parental responsibilities towards the child from the time she was born". She also claimed that when the infant was born through caesarean section, Marwa gave her Sh50, 000 to settle the hospital bill. The girl was born on February 7, 2018, she said. She alleged that she and Marwa had an intimate relationship that began in January 2017. At the time she met Marwa, she was living in Mombasa and he was the Regional Coast Coordinator. “He has never seen the child to date though he sometimes minimally supports the mother,” Moraa said in an affidavit signed by her lawyer. However, Marwa through his lawyer, Onyango Issac, denied these allegations saying the entire suit filed by the plaintiff was bad in law and fundamentally defective. He said that the complainant was a stranger to him and he is not conversant with the allegations filed in court. The matter will be heard on April 23rd, 2019.